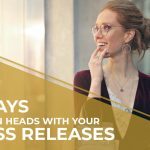 7 Ways To Turn Heads With Your Press Releases It takes a lot to turn heads with your news these days. News and media sites are saturated with press releases that, while all relevant and interesting in their own right, make it difficult to rise above the chatter. The reality is that when you publish online press releases, you're dealing with a lot of competition for attention. The solution? A little planning and creativity goes a long way in taking your news from bland to brilliant. 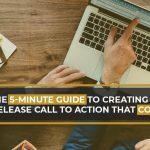 Use these 7 strategies to write and share a press release that gets noticed! 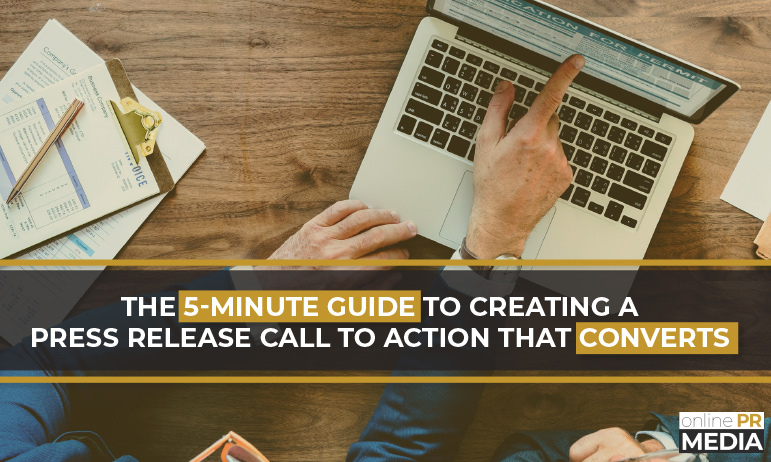 The 5-Minute Guide To Creating A Press Release Call To Action That Converts Each time you publish a press release online, you do so in the hopes that it will accomplish a specific goal. You want to share your news, yes, but you should also want readers to take some action -- convert, contact, connect, share, sign up, and eventually even buy! That's where a call to action comes in handy. When used the right way, it prompts your reader to do something after reading your press release. That can mean the difference between a reader who soon forgets about you, and one who takes the next step toward building a relationship. 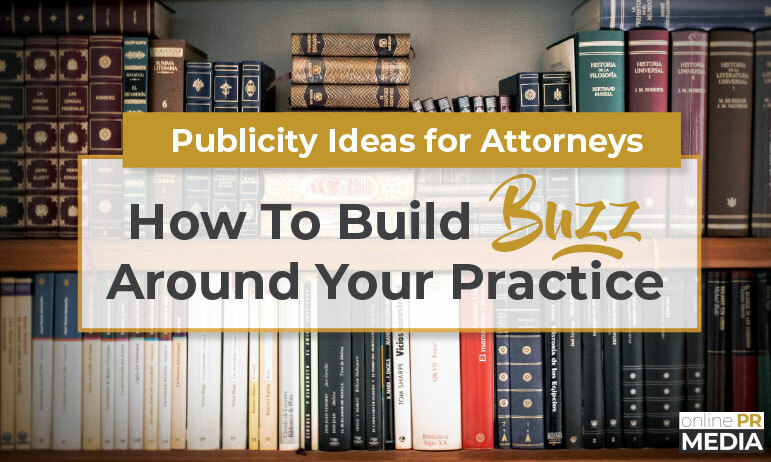 Smart Publicity Ideas For Attorneys: 4 Ways To Build Buzz Around Your Practice Running a law firm is hard work. Getting up to speed on your clients' cases and performing the work they need is only the beginning. You also need to market your practice to make sure new clients can find you. That's the part most attorneys neglect. Fortunately, there are numerous ways to promote your practice. From publishing a newsletter to organizing free seminars, a little effort and action can go a long way. The problem is, many of them are costly, either in terms of time or money (and sometimes both). One of the most productive ways to get your name in front of prospective clients is to generate publicity for your firm. Unlike buying space in the Yellow Pages or time on television, good PR doesn't have to cost an arm and a leg. Nor does it have to monopolize your time. Sometimes, all you need is a little creativity. 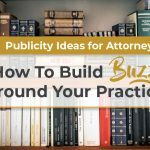 Read on for 4 simple and inexpensive ways to generate lasting buzz around your practice. 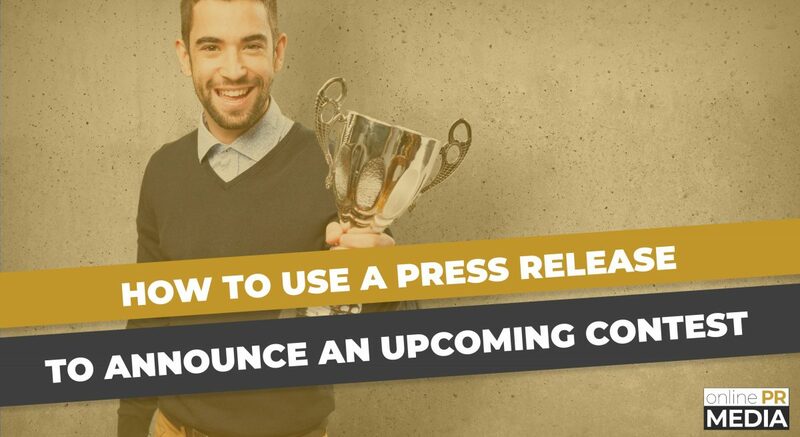 How To Use A Press Release To Announce An Upcoming Contest Business owners have been using contests to get consumers excited about their products for as long as they've had products to sell. Holding a contest is a great way to generate buzz, drive traffic to your site, build an email list, and inspire goodwill among your customers. One of the easiest ways to get the word out to your audience is to use press releases to announce your contest. Why? Because people LOVE TO WIN FREE STUFF. It's simple human nature. And great news! We've made the job simple for you by creating a Press Release Template for announcing a contest. Simply copy the template below into a clean doc, follow the prompts for the details to include in each section, and drop in the information relevant to your business's contest. Tips For Using A Press Release To Promote Your Book You’ve spent months, maybe even years, slaving at your keyboard. You’ve overcome countless cases of writer’s block. You’re researched, written, and revised. You’ve gone back and forth with an editor. Finally, the time has come: your book is being published. The time and energy that have gone into your book deserve nothing but the best chance for success. Now comes the key question: how are you going to sell it? While there are no shortage of companies offering their services to help market your book, these services are often extremely costly with no hard results guaranteed. 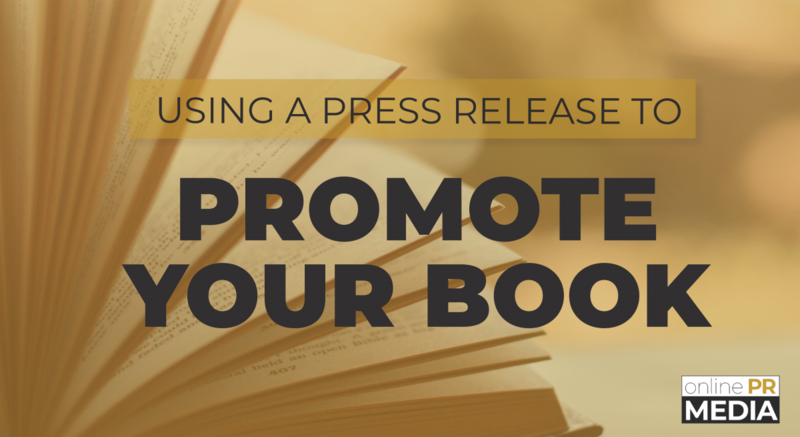 Conversely, online press releases are a simple, flexible, and cost effective way to help promote your new book. Here are some tips for using online press releases to walk consumers through the buying journey to maximize your sales. 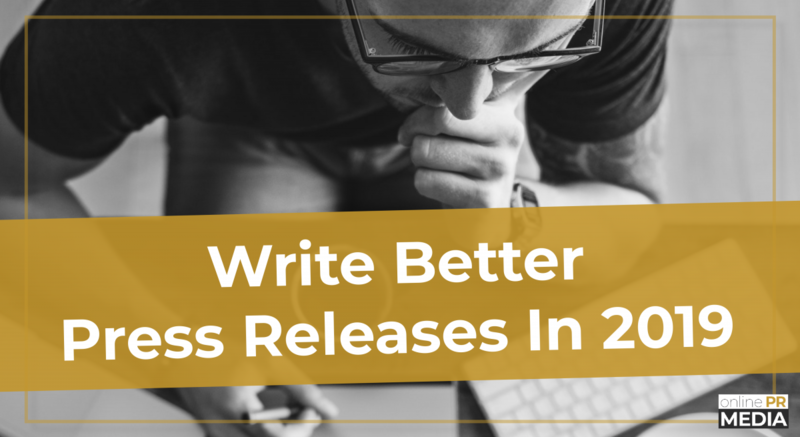 Write Better Press Releases In 2019 It’s the New Year, and you’re feeling ambitious! 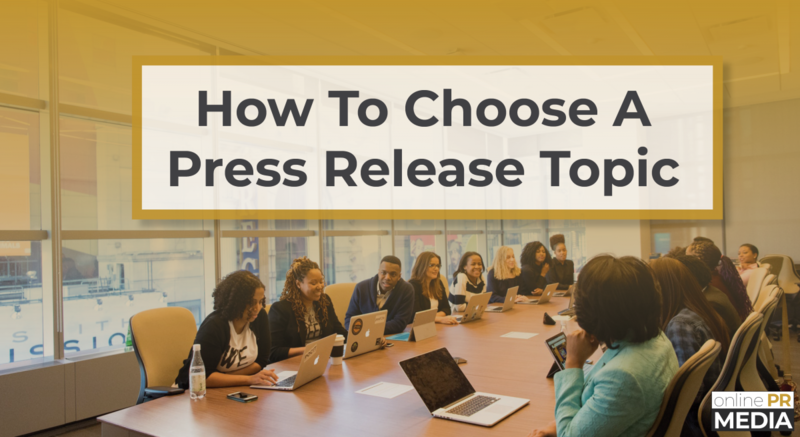 You’ve mastered the basics in How to Write an SEO Press Release, and now, you’re ready to bring your press release writing skills to the next level. In the ever-evolving world of search engine optimization and online marketing strategies, knowing and applying the latest tactics to your writing is critical if you want your press releases to stand out. 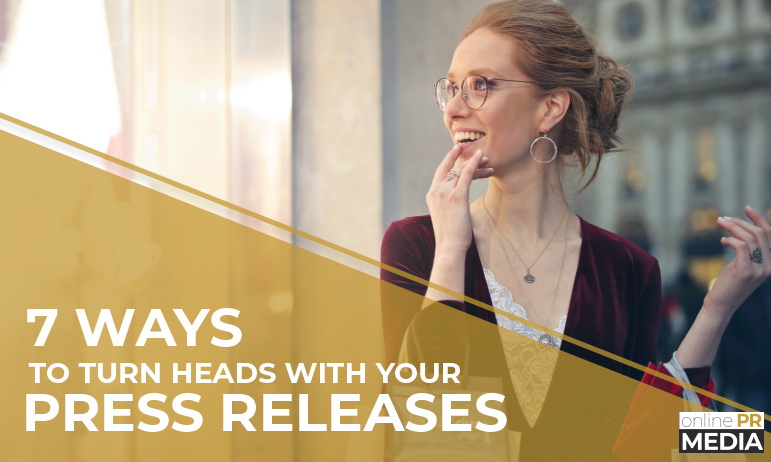 Here, you’ll find the latest tips to stay ahead of the game so you can write stronger press releases and make the most of them in the publicity climate of 2019. 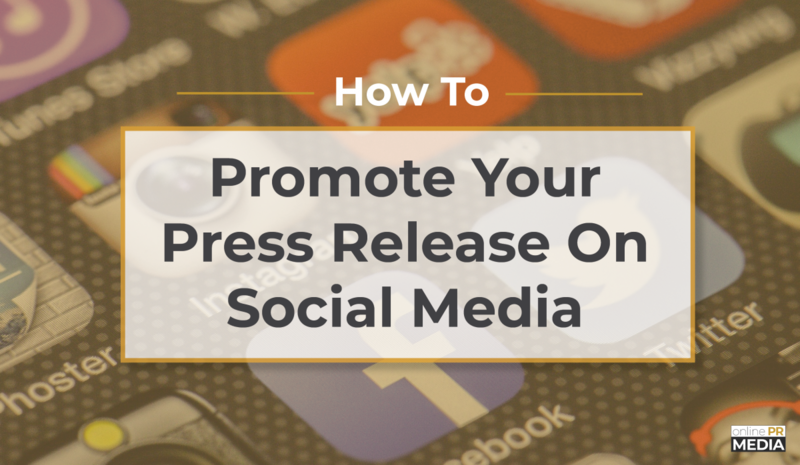 How To Promote Your Press Release On Social Media Did you know that hitting "submit" on your press release is just the first step in sharing your company's news? For maximum reach and exposure, social media is an invaluable tool for promoting your press release and getting it in front of your target audience. We've previously talked about what to do after submitting your press release. Now, let's take a specific look at leveraging the power of social media to promote your release and share your news far and wide. 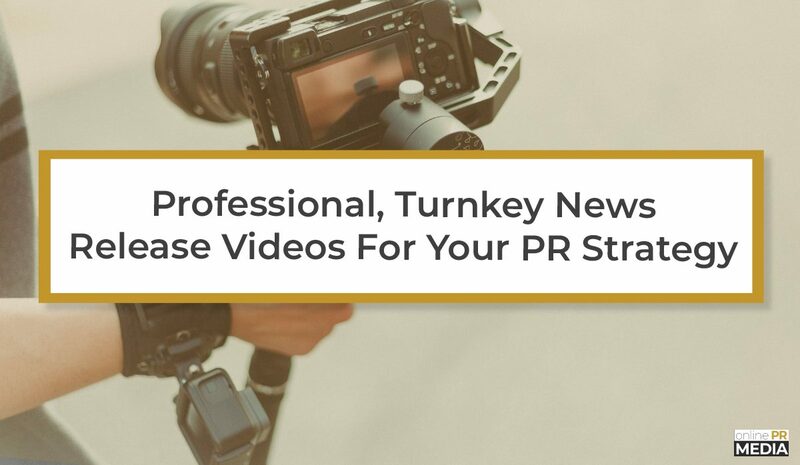 Professional, Turnkey News Release Videos For Your 2019 PR Strategy A press release is most successful when it gets your news in front of your target audience. And what's the latest tool that PR professionals are loving for reaching and engaging audiences online? Video. When used effectively, a professionally produced press release video can be an extremely powerful tool for getting your organization’s news out to a wide audience and making a significant SEO impact. If you're new to writing press releases, you may be wondering about using anchor text links. Or maybe even what they are to begin with! An anchor text link is just online marketing speak for words that go somewhere when clicked. You see them all the time in your daily ramblings around the web. They're usually underlined and colored, often blue, although modern website templates offer more choices for matching the look of links to a site's branding. 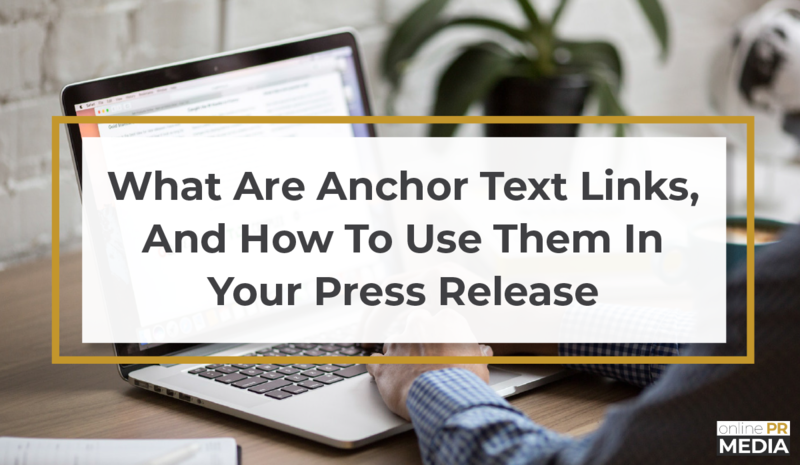 Looks aside, the function of anchor text links is the topic today, and more specifically how to effectively use them in your press releases. Some quick research on the topic reveals some controversy around anchor text links. To quickly clarify before going on, there absolutely IS a right way and a wrong way to use anchor text links. Knowing the right way to use them, and having the right expectations when creating content, is key to success. First, let's take a closer look at the history of anchor text links and why we're sharing information about this topic to begin with.